Polychloroprene rubbers are homopolymers of chloroprene (chlorobutadiene), and were among the earliest synthetic rubbers used to produce seals. CR has good ageing characteristics in ozone and weather environments, along with abrasion and flex-cracking resistance. 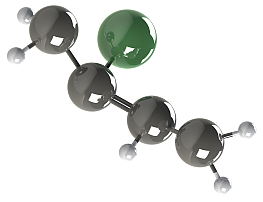 Most elastomers are either resistant to deterioration from exposure to petroleum based lubricants, or, to oxygen; CR is unusual, in offering a degree of resistance to both. CR also offers resistance to refrigerants, ammonia, Freon® (e.g. R12, R13, R21, R113, R114, R115, R134A), silicone oils, water, ozone, vegetable oils and alcohols. This, combined with a broad temperature range and moderate cost, accounts for its desirability in many seal applications. CR is not effective in aromatic oils and offers only limited resistance to mineral oils.